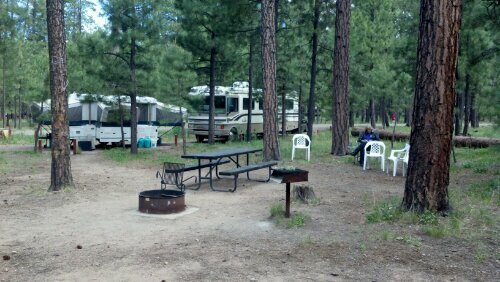 big spaces in cool places, Canyon Point Campground – RV Cheaper! June 11, 2013 December 29, 2014 RV Cheaper! with temps at 110 at home, we are enjoying 60 degree mornings and 75 degree days at Canyon Point near Forest Lakes, AZ. Elevation of 7600 makes a cool getaway!